We do not have a retail outlet, but sell by mail order to the public and wholesale to the trade. 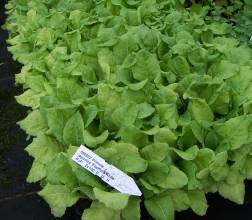 We have many plants in larger pots sizes than those chosen for the mail-order catalogue. We also grow to order for large projects. We offer wholesale rates to regular customers or those businesses making a large order. 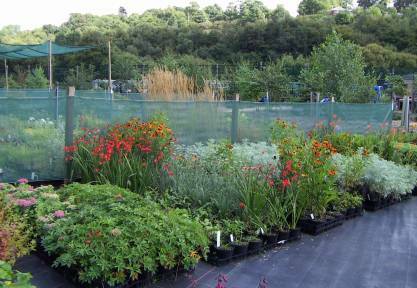 We are happy to supply you, whether you are a large garden centre or a small specialist nursery. Please state your VAT status. We arrange special rates for designers and landscapers. Estates and large gardens, operating as businesses, may also qualify for discounts. 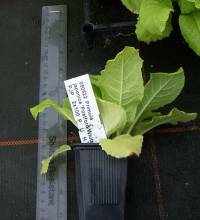 Wholesale purchasers may collect from the nursery. We can deliver locally and within Scotland and the North of England or, if convenient, on our journeys North or South. We can also use a pallet company to deliver bulk orders anywhere within the UK or the EU. Contact us for individual quotations. 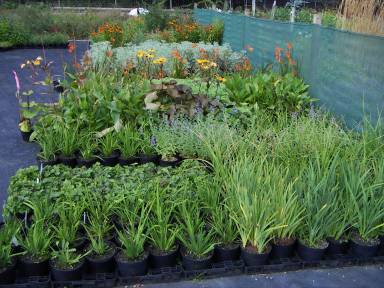 An instant herbaceous border awaits delivery. 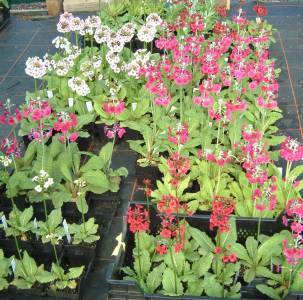 Grown to order for a customer with a large herbaceous border to fill. Quality check: photographs can be sent to a customer before a large order is shipped.